A place for those books that don't fit into my other genre review blogs. 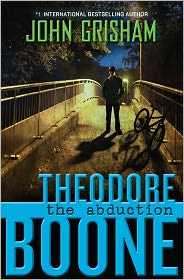 In the second book in the Theodore Boone series, Theo's friend April has gone missing. Theo had spoken to her the night she disappeared and there were no signs of forced entry into her house. So who did she go off with and why? When a distant cousin of April's appears in town, known to have broken out of jail, police and the whole town fears the worst may have happened to April. As Theo bounces between fear and grief, his uncle gives him a possible reason to hope that April may still be alive. Can Theo find April when the police can't? Anyone who has read a John Grisham novel for grown ups knows the stories are usually interesting and well-plotted and exciting. This book is none of those--he hasn't figured out how to write for kids yet. It might hold the attention of some older readers or ones who really like law stories or who may be interested in the series. Theo is a good character, so let's hope if there are more books about him, the stories get better! The Tompkins family are in dire straits. They are losing their house and their mother is sending teenager India, Finn, and young Mouse off to live with their Uncle Red in Colorado while she finishes off teaching for the year. The kids are all in shock and quite unhappy with the situation, but they dutifully board the plane for Fort Baker. But when they arrive, they are picked up by Chuck, who seems suspiciously like a boy. And he takes them not to Fort Baker but a place called Falling Bird where they are welcomed by people all knowing their names and into what would be their dream houses with all their favorite things. But then Finn, the worrier, has to ask the question: What is going on? And that sets him and his sisters on a journey to try to escape Falling Bird and save themselves, but first they have to find the black box and a tunnel dog...whatever that means! Part science fiction, part fantasy, part adventure, part realistic, this story takes a twist at the end that no one will expect. A fast-paced story that will fascinate many a reader. 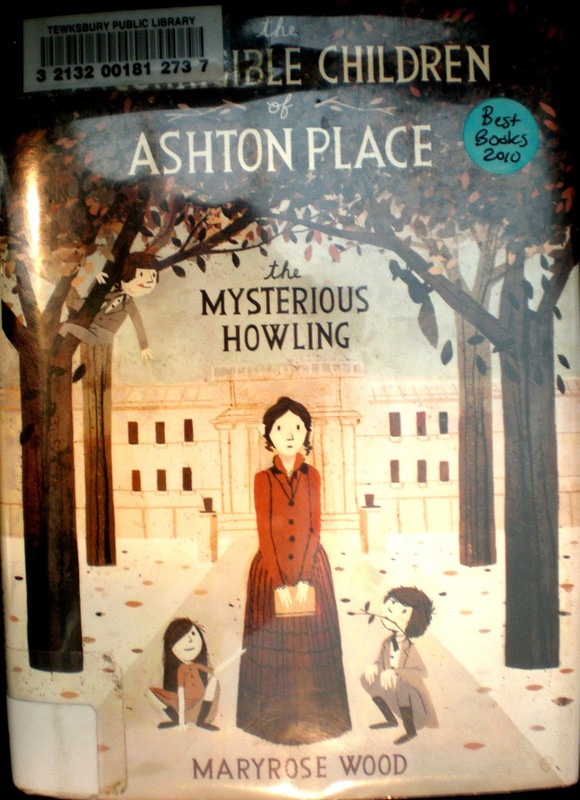 Wood continues her Incorrigible Children of Ashton Place series with this second book which is just as tongue-in-cheek as the first one. Penelope is very excited to be able to get the chance to go to London with the children and the Ashtons and to finally see her dear old schoolmistress, Ms. Mortimer again. And how educational London will be! But first, the Hixby's guidebook that Ms. Mortimer sends her proves to be one of a kind and both helpful and not, all at once. Is it hiding clues? Then a gypsy woman murmurs a disturbing prophecy about the children. Even meeting the dashing, friendly young Simon Harley-Dickinson can't take all of Penelope's worries away. And Ms. Mortimer tells Penelope to not try and uncover any information about the background of the Incorrigibles and leads Penelope to believe that she and the children are all connected somehow. What is going on? Who are the Incorrigibles, really? And how will Penelope ever find out? At turns, the story is funny and exciting, and fans of the first book will be more than happy to keep reading the next installment. Loads of fun! Welcome to Theo Boone. 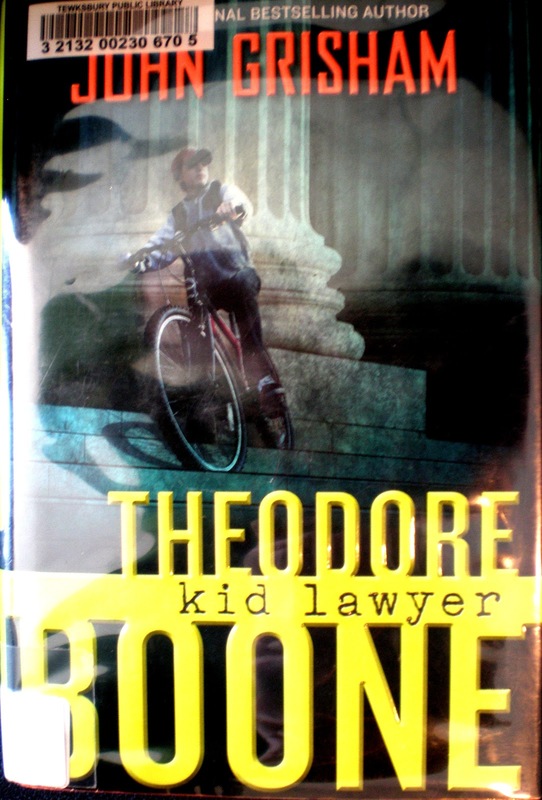 Son of 2 lawyers with aspirations to become a criminal lawyer or judge some day, Theo knows the ins and outs of every courtroom in Strattenburg. And right now, he is thrilled because the most exciting trial to come to town in many a year is starting--a real murder trial, presided over by his favorite judge. All of the evidence pointing to the husband as the killer of his wife is circumstantial and it looks like he won't be convicted...that is until a friend of Theo's comes to him with some crucial information about a possible witness. A witness who is afraid to come forward and makes Theo promise not to tell anything about him. But the murderer will get off scot free if Theo does nothing...so what can a kid who just wants to be a lawyer do? Readers will be very interested in this storyline, although the ending leaves us a little bit hanging, hopefully for a sequel. A fairly promising if uneventful beginning. 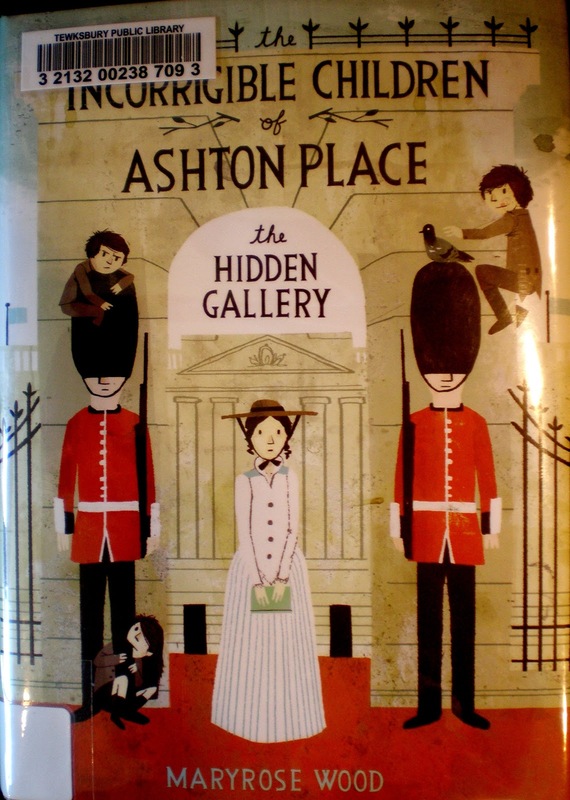 In this first entry in the Incorrigible Children of Ashton Place series, the author pokes fun of every book that ever has a governess headed out to teach a child or children in a big manor house out in the middle of nowhere. 15 year old Penelope is a graduate of the Swanburne Academy for Poor Bright Females and was granted an interview and post out at Ashton Place to instruct children who were known as the Incorrigibles. Why? Because Lord Ashton found the two boys and one girl running wild like wolves while out hunting and brought them home. No one knows where the children came from or who they belong to, but Penelope does her best to bend them into properly behaved children. But mysteries abound--where did these children come from? Why did Lord Ashton take them in? And what is that mysterious howling that can be heard? And can Penelope mold these children into perfect behavior in time for Lady Ashton's Christmas ball? Readers who enjoy a book whose story is firmly tongue in cheek will love this and be looking forward to the sequel, The Hidden Gallery.